Are you a small business owner wearing many hats with little time for accounting? This quick tip guide will focus in on two key reports available to small business owners when utilizing QuickBooks Online. These reports will assist you in running your business more effectively. The Profit & Loss report is also known as the Income Statement. It consists of Sales (revenue, income) minus costs (expenses) resulting in either a profit or loss (net income). QuickBooks Online allows you to break down both income and expense accounts into categories. 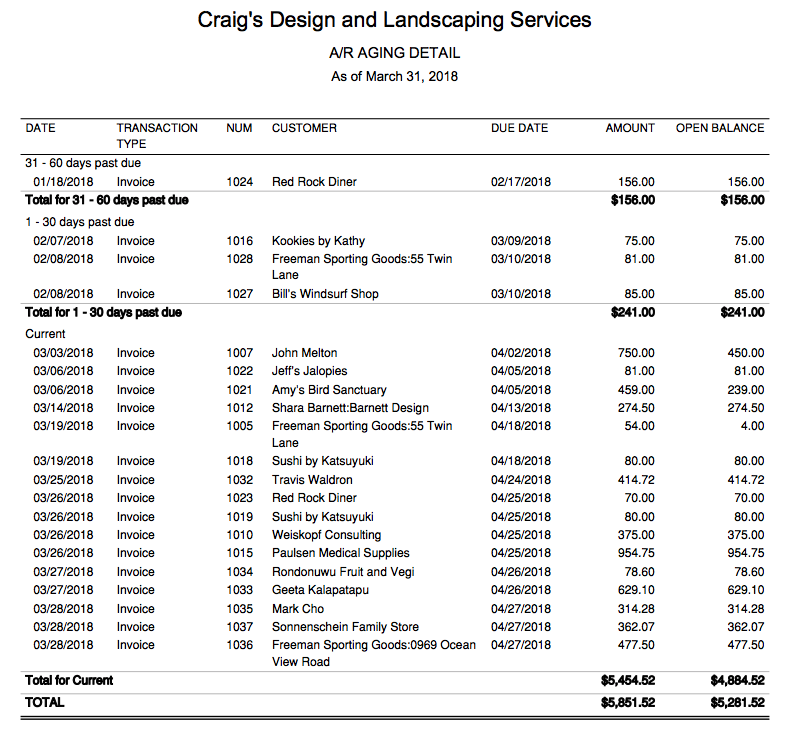 As you can see in the example statement, Craig’s Design and Landscaping Services has chosen to include 5 different income categories to track income. These categories can be customized to suit the needs of your business. The Profit & Loss Statement is a summary of revenues and expenses during a certain period of time. Knowledge of these numbers can really help small businesses make better decisions. QuickBooks Online will also generate a Profit & Loss Comparison report. 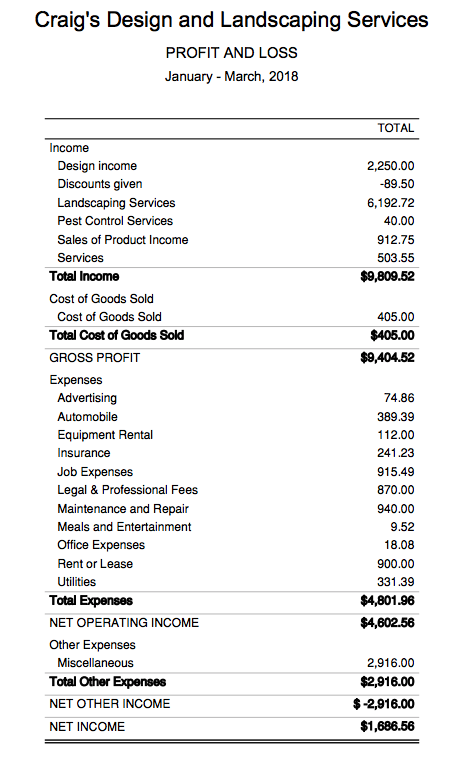 This report summarizes your income and expenses for both this month and this month last year. You can tell whether you’re operating at a profit or loss, and you can compare this month’s performance against your profit or loss for the same month one year ago. The Accounts Receivable Aging Detail Report is a summary of all amounts owed your company. These amounts are categorized by length of time the invoice has been outstanding. Once an invoice is sent in QuickBooks Online, the amount is recorded in the accounts receivable and revenue accounts. The report gives you information on which customers are slow to pay. It will allow you to evaluate how much credit risk your business is taking with certain customers. The report will also be sure you are asking yourself the right questions. Does your business need to evaluate payment terms? QuickBooks Online allows business owners to analyze this data in real-time and make informed decisions. Posted in Cloud Accounting, QuickBooks and tagged Cloud Accounting, QuickBooks Online on May 1, 2018 by John Alexander.